The London Borough of Hackney has produced a new guide called 'What you need to know about renting from a private landlord'. The guide explains how the Council can help privately-renting tenants, as well as information on the legal rights and also responsibilities of tenants and landlords. Read and download the guide HERE. The Money Advice Service is an independent service set up by the government to help people manage their money better. It has just published new information about the Universal Credit benefit. On Monday 24th February 2014, Hackney Community Law Centre was delighted to have Maurice Wren address our Annual General Meeting as its Guest Speaker. On Wednesday 19th February 2014, HCLC Housing Solicitors Wendy Pettifer (pictured right) and Tayyabah Ahmed joined other charities and housing campaigners working in Waltham Forest to examine the issue of ‘Street’ Homelessness in the borough. HCLC Annual Report 2013 now published! Please find an electronic version of the 2013 Annual Report of the Hackney Community Law Centre available to read and download HERE. On Thursday 23rd January 2014, representatives of Hackney's advice agencies, the local council, corporate partners, sister law centres and advice agency volunteers, attended the official launch of Hackney's Big Lottery Funded 'Sustainable Advice in Hackney' project. 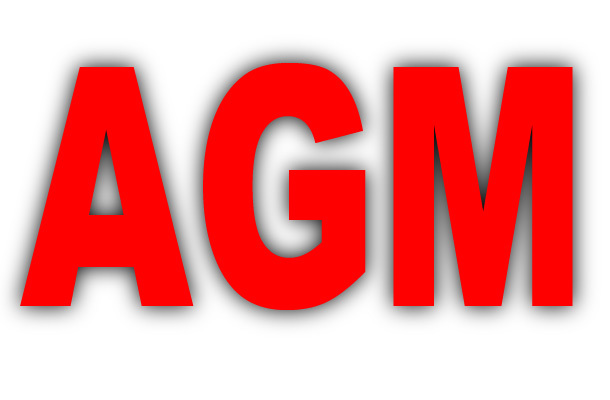 Hackney Community Law Centre’s next Annual General Meeting will take place at : The Salvation Army, 122-124 Lower Clapton Road, London E5 0QR On Monday 24 February 2014 between 7pm and 9pm. HCLC is delighted to welcome James Krumrey-Quinn as a new intern. On Monday 6th January 2014, HCLC staff and interns joined barristers, solicitors and campaigners from all over the country to protest at Government proposals to make even more cuts to criminal legal aid. SEASONS GREETINGS FROM EVERYONE AT HACKNEY COMMUNITY LAW CENTRE! Thank you for your support in 2013 and looking forward to continuing to work with you in 2014! We are closed from 1pm on Tuesday 24th December 2013 until 10am on Thursday 2nd January 2014. HCLC is recruiting for a Housing and Welfare Benefits Caseworker! Barrister Tunde Okewale becomes HCLC Patron! HCLC is delighted to announce that Tunde Okewale, currently a barrister at Doughty Street Chambers, has accepted our invitation to become a Patron of Hackney Community Law Centre. HCLC is pleased to announce that we are leading the Hackney Big Lottery Advice Services Transition Fund (ASTF). Delicious Support for the Hackney Migrant Centre! HCLC is really pleased to support the publication of a new cookbook aimed at raising funds for our friends and colleagues at the Hackney Migrant Centre and North London Action for the Homeless. Thanks to the London Borough of Hackney who have provided us with special funding, HCLC is delighted to welcome Marie Froysa Hole (pictured right) to the Centre as our new Benefits Caseworker. HCLC is very pleased to welcome three new members to our Board of Directors. HCLC is very pleased to have teamed up with the Big Voice London project to respond to the Home Office's latest consultation on police 'stop and search' powers. If your rent is not met in full by housing benefit and you have a temporary situation which makes it difficult to pay your rent, you can apply to Hackney Council for extra help in the form of discretionary housing payments (DHPs).